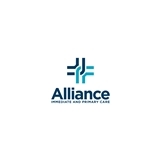 Alliance Immediate & Primary Care (Chicago) - Book Appointment Online! Alliance Immediate & Primary Care is open late and has flexible hours, making it convenient to receive quality health care when you need it most. You can take advantage of the services at our immediate care clinic for almost any illness or injury, including sore throats, ear infections, burns, lacerations, sprains, fractures, asthma attacks, and many more. At Alliance Immediate & Primary Care, we are equipped to handle a variety of urgent situations, and in the rare event of a true emergency, we coordinate with local ambulance and hospitals to get you to the closest Emergency Room quickly. We always have a trained, experienced, board-certified physicians as your health care providers, as well as multiple medical assistants and technicians supporting your care. We also can perform lab tests, EKGs, drug-screenings and a variety of other procedures at our facility. The nurse practitioner was very nice, welcoming and knowledgeable, but i am frustrated with the office because I feel like I wasted my money. I wanted three things- a Pap smear, std testing and a yeast/bacterial infection culture and I got none of those. I actually called the office prior to the appointment and asked if she could provide those things for me even though she wasn’t an obgyn and they said yes. I cancelled an appointment I had with another doctor because I felt more comfortable with a woman. Then I got none of the things I wanted and will have to spend more time and money elsewhere to get what I wanted in the first place. I called ahead to avoid this very situation, was clear about what I wanted (I even asked twice on the phone to be sure about all three reasons for my visit) and ended up with 5-10 minutes of talking instead. I don’t think I should have to pay for this visit because I did not receive the services I specifically inquired about prior to the appointment as it was too late in the day. I was not made aware of this time constraint on the phone. Also, I was offered two prescriptions for both an antibiotic and a yeast infection pill for an infection that I was told I probably don’t have based on talking about my symptoms. So fast for easy things like drug tests and vaccines ! !